Honest Cash Home Buyers in California. We’ll buy your home in 30 days or less, as-is, in cash. Looking for a local cash home buyer for your home in California? We’ll make a cash offer on your home in 24 hours. Welcome to Stockpile PV! We’re a local cash home buying company here in California. We purchase homes just about anywhere in Cali, and we buy them as-is; meaning you don’t need to repair your home or make any fixes to it in order to sell it. We work directly with you, the homeowner, and pay a fair cash value for your home so you can get it sold quick. No matter what situation you’re in, we’d love to work with you. We do strive to do win-win deals, so if working together isn’t a good fit for us, we’ll let you know that. In fact, our owner is an experienced real estate agent, so we know both sides of home selling. We know how important it is to work with a home buying company you can trust. We operate an ethical, and honest business. We’ll even be transparent with our offer number and break down why our number is what it is if you need to see that. We know the California real estate market well, and we want to do right by you. No waiting for the right buyer, no fixing, just an easy, fast sales process. Yes, all of that is possible right here in Los Angeles, CA because we buy houses “As Is”. We buy houses from homeowners who want to sell soon. No fixing up. No fees or commissions. No waiting. Find out more about how we do it here. We have funds ready to buy more houses. So that means you will not have to wait for someone’s financing to be approved and underwritten. Banks are just too slow. So we stopped using them. How To Sell My House Fast In Los Angeles, CA. We can buy your Los Angeles County house quickly. Contact us today! Employing a real estate agent may not be the best way to get your home sold. Highcommissions, long wait times, open houses on evenings and weekends, and having strangers walk through your bedrooms are some of the reasons that people don’t use the traditional agent process. Are you thinking: “I want to sell my house As Is”? We will NOT ask you to do any work or pay a contractor to do anything. You won’t have to spend anymore money or time on your house to get it sold. We will give you a fair offer on your house exactly as it is right now. 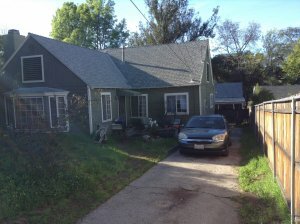 Yes, we buy houses in Los Angeles, CA for a fair price. We understand that you may have run into some tough struggles and need to sell a house fast. We work hard to give people a fair offer for their property. Want to stop the hassle of owning that house any longer? Want to skip waiting months to sell a property the traditional way? Want to avoid paying fees and commissions? Just let us know about the property you’d like to be rid of and sell your house fast for cash. You can talk to us directly before submitting your property information by calling us today at 949.467.4966.